You can earn double HHonors points or miles with when you stay at any Hilton hotel or resort before August 31, 2015. Combined with recent Hilton "Get 100% bonus when you buy HHonors points" offer, you can accumulate enough HHonors points in short time. Note: you need to register this offer online. Rocketmiles.com is a hotel booking website that offers clients both wholesale room rates and and the perk of earning miles for each booking with airline partners. If you make your first Rocketmiles booking by May 30, you can get a bonus of 5,000+ miles awarded in the Rocketmiles program of your choice. Note: Rocketmiles also offers a generous referral program to all of their users. If you refer somebody they will earn a 1,000 airline bonus miles when they make their first booking and you’ll also earn 1,000 bonus miles after they’ve made their first booking. If you’d like, you can use our referral link found here. We appreciate you using our links where possible. If you are qualified (minimum gross annual income > $60,000), I highly recommend this card to you, especially with this FYF offer. Note: This card lacks the common carrier travel accident insurance package. Best Western has launched their summer promotion. You can get 1,000 bonus points with every qualified stay between May 26 and Sep 7. 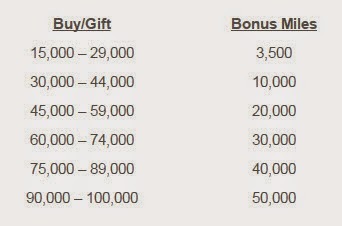 There is no limit to the bonus you can receive during the promotion period. Online registration and booking is needed. From my point of view, this is a good offer and you can use it during the summer vacation. You can get a Scotia Momentum VISA Infinite card with $99 annual fee waived for the first year before Jun 30, 2015. Plus, you can also get a 1.99% introductory interest rate on cash advances, balance transfers and Scotia Credit Card cheques for the first 6 months. Before May 31, you can get 20% off your purchase of books, toys, home decor and more from indigo.ca when you pay with Visa Checkout! This offer is valid on pretty much everything with the exclusion of Apple products and accessories, gift cards, Kate Spade, LEGO, and Rosetta Stone products, used books/music/DVDs. Each customer is limited to one discount. Online orders over $25 will ship for free. If your current BA Avios Miles balance is not enough for a reward flight or upgrade, you should consider this purchase promotion. 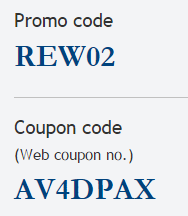 You can get up to 25% bonus BA Avios miles when you purchase or gift between 27,000 and 35,000 Avios before June 11, 2015. If you purchase or gift between 5,000 and 26,000 Avios, you will still get a 15% bonus. Launched in 2014, Kaligo.com is a third party hotel booking platform that rewards customers with bonus points/miles across a wide range of loyalty programs. Starting today until Friday May 29th, you can get an additional 2000 bonus miles on every booking under USD $500 or 5000 bonus miles for every booking of USD $500 or more on Kaligo.com. Bonus miles are valid only on bookings earning miles with United MileagePlus Miles. The above link is our referral link where if you complete your very first booking you will get 1,000 extra bonus miles (we'll get bonus miles from Kaligo after you book as well). This bonus is stackable with the flash sale bonus miles! So, if this is your first time booking you'll earn at least 3,000 miles (under USD $500) on that booking or 6,000 miles (if it is over USD $500). We thank you for using this link and hope you enjoy this additional 1,000 bonus miles. You can get 100% bonus points when you buy HHonors points. Points purchased do not count towards elite tier qualification. You can get at most 160,000 points with USD $800. So, the cost per point is USD $0.005, which is quite good. The 100% bonus is available for purchases made by June 17, 2015, at 11:59pm ET. All purchases are non-refundable. Note: GST/HST will be charged to Canadian residents. American Express Travel has launched a hotel sale offer. You can get up to 50% off select hotels Worldwide by June 30. Note: you can pay for your travel by AmEx MR points on AmEx Travel website. You can earn up to 40% bonus points when you purchase Finnair Plus points before Jun 30, 2015. 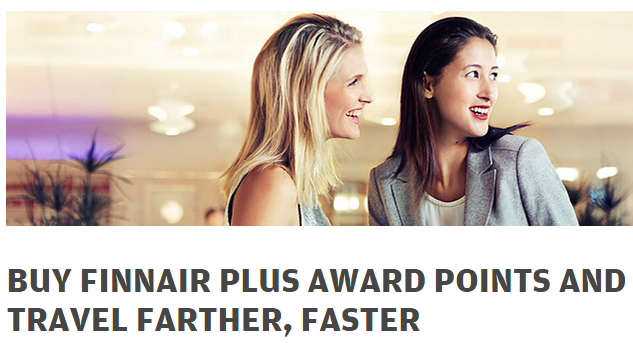 You can also purchase Finnair Plus award points for a friend or family member as a gift. Note: Finnair is one member of the OneWorld alliance. You can save up to 25% off worldwide (up to 20% off in Canada) or get a free night at select Fairmont Hotels for stays up to Sep 30, 2015. Participating Fairmont Hotels & Resorts locations are listed in the above link. Please click on a property link to participate in this offer. You will also earn up to 3X AAdvantage miles for stays up to Jun 30, 2015 with this offer. Please see details from the website. You can earn up to 50,000 bonus AAdvantage miles when you buy miles for yourself, or gift miles to one of your friends before Jun 12, 2015. Please see the full details from AA website. Earn an additional $50 when they reach 1000 clients. For now, you can also earn 2% bonus interest until June 12, 2015. It is potential to get free $150 to your initial $100 deposit after a year. Please check with the promotion details from their website. Note: Zag Bank is a member of the Canada Deposit Insurance Corporation (CDIC). So, you don't need to worry about your money even you are not familiar with this bank. • BMO World Elite MasterCard. This rebate is similar to the TD All-inclusive account. You are limited to one Rebate per Plan. If more than one account holder has an eligible BMO Credit Card, only one rebate will apply. The annual fee rebate will appear on your BMO Credit Card statement within the first two statements after the annual fee is billed. Note: customers with a BMO Credit Card issued through BMO Private Banking or BMO Nesbitt Burns are not eligible for this rebate. You'll get a free Apple Watch when you open and fund an online Questrade trading account with $100,000. 4. Questrade will send you an Apple Store gift card (about $500 value) so you can pick out your watch, or any other Apple product you like. If you move an account from another Canadian broker with at least $25,000 and Questrade will pay your transfer fees up to $150. Note: you have to keep the money there for at least 6 months. 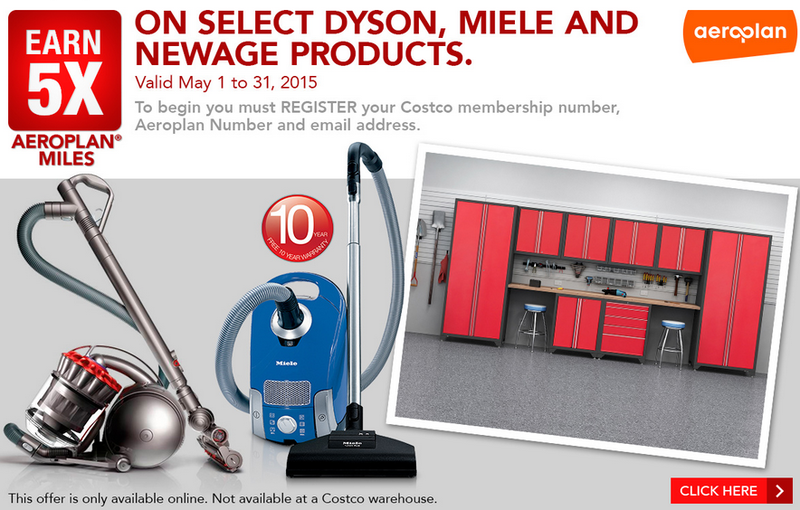 You can get 5X Aeroplan miles on Costco purchases on select Dyson, Miele and Newage products This offer is only available for online orders placed on Costco.ca. If you are not a Costco member, you can sign up and get up to 1500 bonus Aeroplan miles (1,000 Bonus Aeroplan Miles for a new Gold Star or Business Membership and 1,500 Bonus Aeroplan Miles for a new Executive Membership). If you are a WestJet Rewards member, you can enjoy up to 15% off the base fare of your flight when you book online at westjet.com. This offer ends 9:59 pm M.T. on May 14, 2015. And the travel time is from May 20 to Aug 31, 2015. If you are not a member of the SCENE program, you can join for free at scene.ca. You can also get 250 bonus SCENE points by registration. On May 9&10, you can get 18,500 bonus Optimum points when you spend $75 or more in Shoppers Drug Mart. You can redeem this bonus points for $25 free stuff in the store (around 30% return, if you only purchase $75 before taxes). LifeMiles is the frequent flyer program of Avianca. Avianca is famous for selling LifeMiles with a 100% bonus. This time, it is back with an extra 20% bonus (total 120% bonus). So, you will receive 2200 LM when you buy 1000 LM. 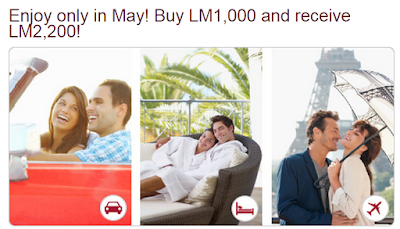 This offer only applies to Avianca members enrolled before May 4th, 2015 except whose countries of residence registered in the LifeMiles profile are: Guatemala, El Salvador, Honduras, Nicaragua, Costa Rica, Panama, Ecuador and United States. If you live in those countries, you'll get a 100% bonus. Avianca is a Star Alliance member. So you can redeem LM for airlines tickets in more than 1,300 destinations with Avianca, Star Alliance members airlines, and other Avianca airlines partners. Mother's Day is coming. Do you plan to buy some gifts for your mom? Now, you can earn 20X Aeroplan miles on your first purchase at Shop.ca until May 17th, on top of the 1 mile per $1 spent that you earn. I think this offer is targeted to those Aeroplan members that have not registered at shop.ca. Please check your email box to find this offer. Air Canada announced a Mother's Day Sale. This sale is for most of Air Canada destinations. To get this promotion, you must purchase tickets by 23:59 EST/20:59 PDT on May 7 (around 27 hours left). All seats for this sale are limited and subject to availability. You need to act fast. The Air Miles Mega Miles event is a really good bonus earning promotion. If you use Mega Miles coupons at 5 or more different Air Miles sponsors, you'll be awarded with 1,250 bonus reward miles above the base miles. Note: The expiry of this promotion is May 31, but the expiry of some sponsors' coupons is earlier than May 31. Please read the promotion terms carefully. Now is a good time to make your hotel stays even more rewarding by converting your hotel loyalty points to BA Avios. Convert your hotel points to Avios before May 31, and you will get up to 25% bonus miles. The BA Avios redemption for shorthaul award is probably the best of all flight programs. Note: Participating hotel loyalty programmes for this promotion are Club Carlson, Hilton HHonors, Hyatt Gold Passport, IHG Rewards Club, Marriott Rewards, Starwood Preferred Guest and Golden Circle. You can get a 40% bonus points when you purchase 10,000 Hyatt Gold Passport points or more. Offer ends May 31, 2015. You may purchase Hyatt Gold Passport points in increments of 1,000 up to 55,000 points per calendar year. During this offer, you can buy 55,000 points and get 22,000 bonus points by USD $1,320. Not a bad offer, if you want to take a vacation in Hyatt Hotels. Convert your RBC Rewards points to WestJet dollars by June 15, 2015 and you can receive 20% more WestJet dollars! You must be a member of WestJet Rewards in order to convert your RBC Rewards points. Normally, you will receive 1 WestJet dollar for every 100 RBC Rewards points converted. With this offer you'll get 1.2 WestJet Dollars for every 100 RBC Rewards points converted (about 1.2% return on your spending). Open either an RBC Signature No Limit Banking account or RBC VIP Banking account by Jun 15, 2015. Complete one of the following criteria by July 15, 2015: transfer your automated and recurring payroll or pension direct deposit to your new banking account OR set up two pre-authorized payments from the new banking account, making sure at least one payment for each PAP is made by July 15th, 2015. This is for new eligible personal client only. Clients with existing RBC Royal Bank banking accounts on or before April 30, 2015 and clients who received the iPad mini in 2014 are excluded.